The Sunice Arielle Jacket has a look that's modern, artistic, and luxurious, all at the same time. Throw into that some high-performance mountain features, and it's no wonder this jacket is a staple of Sunice's Ski De Lux collection. Because it's from Sunice, it has a 20K waterproofing rating for extreme protection and dryness even in heavy rain and snow. The four-way, full stretch SilkyTEX fabric also has a DWR coating for an extra water-repelling layer. Features designed for snow include adjustable cuffs with thumb loops, a goggle cleaner, MP3 pocket and much more. Your new favorite Arielle Jacket has 100G Primaloft® insulation on the body and a detachable raccoon fur hood accent. A 20K waterproofing and breathability rating keeps you dry even in prolonged rain and snow. 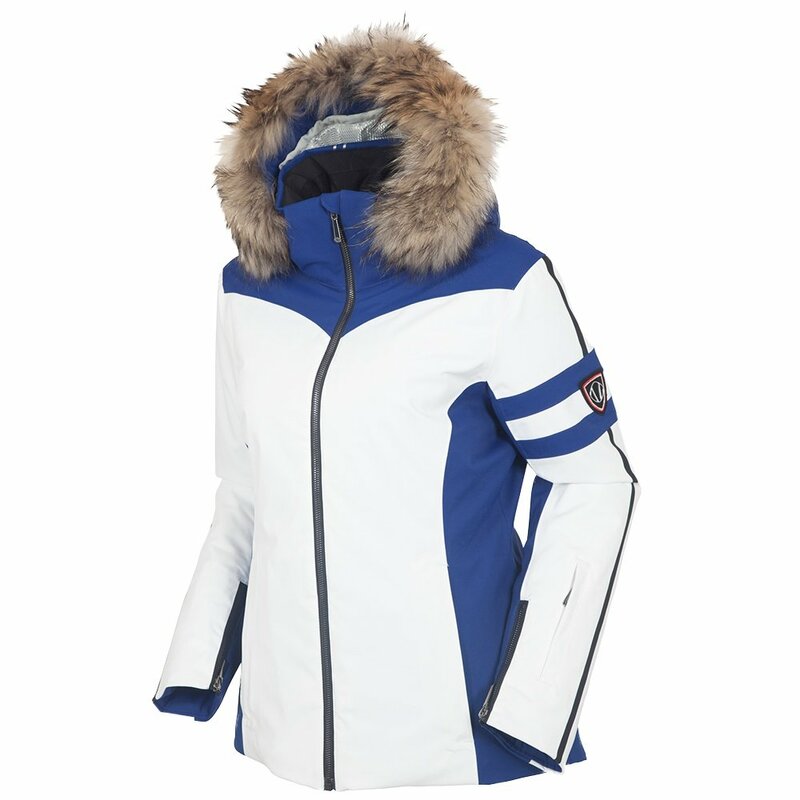 This jacket has bonus ski features you'll love like a goggle wipe and MP3 pocket. Primaloft® 100G insulation on the body and 80G on the sleeves offer warmth in a non-bulky package.